Your got your diploma. You got your first job. What’s next? A fresh set of wheels. As a student, you learned to make the most of great opportunities. Now that you’ve graduated, here’s another-the Honda Graduate Program. Your hard work has paid off. 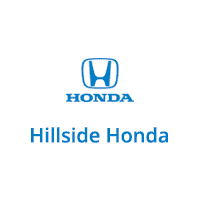 Now let Honda Financial ServicesSM (HFS) do the work to help get you into the Honda that’s right for you. With exclusive financing rates available on select Honda models, the Honda Graduate Program is one opportunity you definitely shouldn’t pass up. *Offer valid on new and unregistered 2018 or newer model year when financed or leased through Honda Financial Services(HFS) through participating dealers. Honda Financial Services’ standard credit criteria apply. See dealer for details. Dealers set actual prices. Not all buyers may qualify. Higher rates apply for buyers with lower credit ratings. Limited time only. Subject to change without notice. For well-qualified customers who meet Honda Graduate Program criteria, subject to approval by Honda Financial Services.Only one $500 Honda College Graduate Bonus offer per vehicle. LEASE: $500 applied towards the cap cost of vehicle. Monthly payment and total due at lease signing are calculated after $500 reduction. Cannot be combined with Zero Due at Signing Lease program. PURCHASE: $500 applied towards down payment. Offer not valid on Honda Certified Used Car or used vehicles. Offer valid through March 31st, 2020 and may be terminated at any time.